Joey Logano picked up where he left off in June on Friday. Logano put down a lap of 35.697, 201.698 on the first lap of the final round of three rounds of knockout qualifying to score a season sweep of poles at Michigan and will lead the field to the green for Sunday’s NASCAR Sprint Cup Pure Michigan 400. 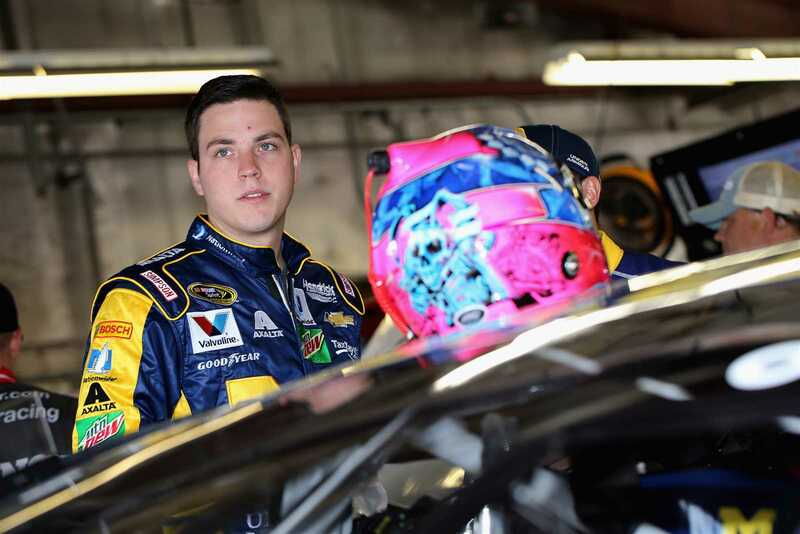 It was his 17th career pole, his third of the season and his third at MIS. 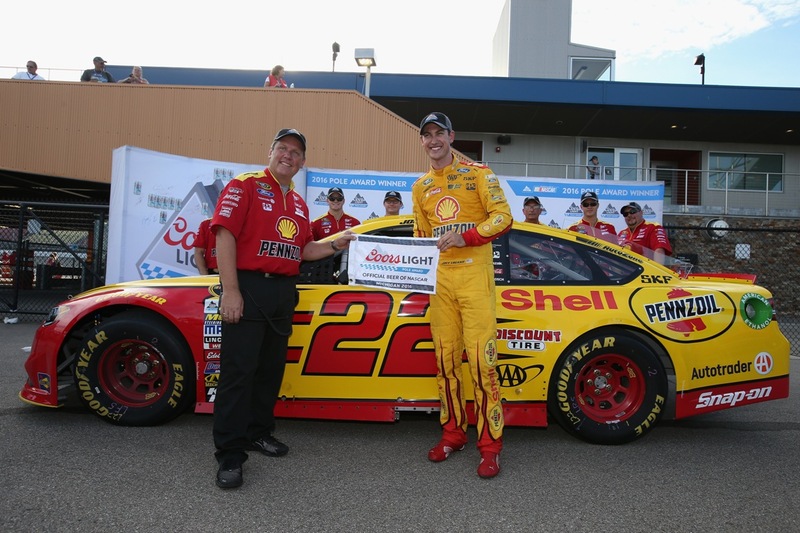 Logano won the June race from the pole, the fourth time in the last seven races that a driver has won from the pole. Logano has accomplished that feat twice, including August on 2013. While Logano could smile after his pole run, the four cars of the Hendrick Motorsports stable could smile even wider. For the first time in more than a few races all four cars advanced to the final round. The leader among the group was Jimmie Johnson who will start from the front row for the first time since his pole at Loudon in July and his first start inside the top 10 since then. Denny Hamlin will start third, with Kevin Harvick and Chase Elliott rounding out the top five starting spots. Johnson led the first 20 minute round, Kyle Larson the second 10 minutes. Among those failing to advance to the final round were defending race winner Matt Kenseth, Kyle Busch and Martin Truex Jr. who was fastest in practice earlier in the day. One driver who did advance was Alex Bowman subbing for Dale Earnhardt Jr. . Bowman wheeled the No. 88 Hendrick Chevy to a career best sixth place starting spot. Ryan Blaney will start seventh, Jamie McMurray eight followed by Carl Edwards, Ryan Newman, Kasey Kahne and Kyle Larson. The full lineup can be found here. The NASCAR Sprint Cup Pure Michigan 400 will get the green flag just after 1:30 p.m. ET Sunday. Live coverage will be on the NBC Sports Network starting at 1:00 p.m. ET.